The Turkish government has been conducting a witch-hunt against the dissenting groups under the state of emergency since the coup attempt in July 2016. Recently, Turkey has been hunting down individuals living in other countries. 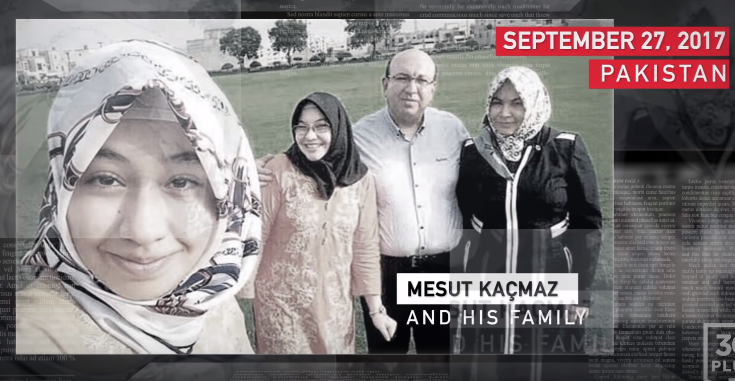 Teachers, doctors, businessmen, mothers, and children, who legally work and live in different countries away and disconnected from the unrest in Turkey, are abducted through clandestine plots and unlawfully handed over to the Turkish government. Here are some of the criminal “rogue state” activities conducted by the members of the Turkish intelligence and consular staff upon the orders of President Erdogan. Video prepared by 30 Plus.